We go to the 34th Academy Awards with some history-making moments. West Side Story becomes the first film to win Best Director with two directors (Robert Wise and Jerome Robbins). Rita Moreno becomes the first Hispanic to win an Oscar and Sophia Loren becomes the first actor/actress to win for a foreign-language performance. West Side Story's ten Oscar wins out of eleven nominations (losing Best Adapted Screenplay...sadly costing legendary screenwriter Ernest Lehman a competitive Oscar and a chance to tie Ben-Hur's eleven wins) puts it second in total Oscar haul. This is a no-brainer. Moon River is one of the most haunting, most beautiful songs ever written for film (sorry, Writing's On the Wall). The longing to that 'special place' is something we all can relate to. I'm one of the few people who never got the appeal of Breakfast at Tiffany's, finding the story a bit off (and that's without Mickey Rooney's Asian apparition). Having said that, I have nothing but praise for Moon River, an iconic song that will outlive us all. About the only song from this list is the title theme to Town Without Pity, the closest the Academy got to 'rock' or dare I say...contemporary music. With apologies to Charlton Heston and Sophia Loren, but The Falcon and the Dove is not one of those songs that will outlive them (though El Cid is indeed a great film). I truly cannot comprehend how something as, well, grandiose, as The Love Theme From El Cid could get nominated (then again, we ARE talking about The Academy). Interestingly enough, Cruella DeVil is the only song from One Hundred and One Dalmatians that I remember (and if memory serves correct, the only one written for the film, a rarity in an animated Disney feature). Oh, yes, there could have been better nominees, but still, who can argue that Moon River was not worthy of the win? Federico Fellini was someone I was not particularly fond of the first time I saw his films. I thought he was bonkers. As time passed and grew in maturity and appreciation, I found Fellini, at least in his early years, to be a true artistic genius. I've never shaken the idea that over time he grew rather self-indulgent in his Fellini-esque features, but that is for the future. La Dolce Vita is a pretty rational film, and we can see how he is about to emerge to the cinematic forefront with a film that is beyond description. I really don't have an argument against Robert Wise and Jerome Robbins getting the Oscar for West Side Story. It is a brilliant film. HOWEVER, the leads were perhaps...miscast? And let's face it, neither Richard Beymer or Natalie Wood are the ones people left the theater talking about. We DO still talk about Anita Ekberg dancing in the Trevi Fountain. Let me say that I have never been fond of Moreno's big musical number in West Side Story. America just bothers me, particularly as a Hispanic. I don't see myself separated from dominant American culture the way the Puerto Ricans apparently do. I also singularly detest the "OLE!" America ends with. Having said all that, Moreno gave a full and extraordinary performance as Anita. She could sing, she could dance (boy, could she dance) and she could act. I know the temptation to see her as some sort of Latin Spitfire is there, but I saw a woman who enjoyed her man but was also brave enough to stand up for herself. Despite the strong work from Garland, her main competition, Rita Moreno IS the clear choice. I simply cannot argue against Moreno. About the only question I would have is why Marlene Dietrich was not nominated for Judgment at Nuremberg. Well, is it me, or did the Greek-descended Chakiris have, well, a touch TOO much greasepaint as Bernardo? That has always been a bit of a sticking point for me: when people try to look 'Hispanic' by slapping on so much paint they end up looking almost garish. 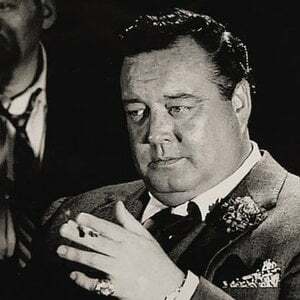 I can't fault his performance or dancing (both of which are good) but on this occasion, I'm going to go for Gleason's turn as Minnesota Fats, the man who could give The Hustler a run for his money. That means Montgomery Clift's 'comeback' won't get him what he did deserve. Again, at the moment, Fats is in. Again, what IS this hold Breakfast at Tiffany's has over people? I saw it once and found the whole thing, well, almost boring. I never got the passion people have for it. 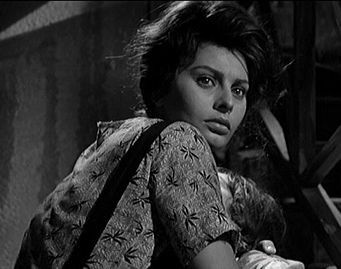 I can say though that Sophia Loren proved beyond any doubt that she WAS an actress, and a formidable one too. As the loving mother attempting to shield her daughter from the horrors of war in Two Women, Loren is astonishing. Is Sophia Loren beautiful? No doubt. However, she did what all good actresses do: draw on her experiences (for Loren, the struggles to survive as an Italian during World War II) and give a performance that when seen, just about tears your heart out. Loren made history as the first actor/actress to win an Oscar for a non-English performance, a feat that would remain unmatched by a leading actress for 46 years and by any actor for 13. Mamma Mia, but did Loren astonish and give a simply fantastic and heartbreaking performance. I simply cannot find one better so far. Fanny, Fanny, Fanny. Why does Charles Boyer and Fanny make me giggle? In a rare moment, two actors nominated for the same film did NOT cancel each other out. The German actor Maximilian Schell managed to outdo the stalwart American Spencer Tracy in Judgment at Nuremberg. Truth be told, this is the first time I remember someone managing to win an Oscar against a costar since Hattie McDaniel beat Olivia De Havilland for Gone With the Wind 23 years earlier (though I may be wrong). More often than not when two actors/actresses are nominated for the same film, they tend to cancel each other out. Having said all that, I still think that "Fast Eddie" Felson was robbed. Curiously enough, Paul Newman would get a second chance with the same character in The Color of Money, the only film for which he won the Oscar. I did not include him when I mentioned other actors/actresses nominated for playing the same characters in two different films (a list that includes Bing Crosby, Cate Blanchett, Al Pacino, and Sylvester Stallone). I regret the error. Whether Newman won the next time as a sort of apology or not for losing the first time I cannot say. I can say that The Hustler is I think better regarded than The Color of Money. We have to have a few surprises every now and again, don't we? I'm sure some are wondering...The Absent-Minded Professor? SERIOUSLY? Well, here's my thinking. First, it shows MacMurray's extraordinary range that the year prior, he was so convincing as the sleazy boss with the mistress in The Apartment and now, here he is as innocence personified. Second, it is a memorable performance, one that certainly is better recalled than Fanny. Third, well, I just like the idea of a comedy, particularly one as fluffy as The Absent-Minded Professor, winning. There's that Fanny again! Odd how Fanny can really be perhaps the squarest of choices for something as stodgy as the Oscars. IF we go by the nominated films, I think The Academy chose wisely (no pun intended). Unlike other musicals to win Best Picture (I'm looking at YOU, Gigi...and YOU, An American in Paris, and YOU, Oliver! ), I have yet to hear ANYONE say that West Side Story was not anything short of brilliant. You have Leonard Bernstein, Stephen Sondheim, Jerome Robbins...it's like having genius upon genius upon genius collaborating in adapting Shakespeare to today. West Side Story is the most honored musical in history, and I doubt any musical film will be able to match it (sorry Chicago, despite having Chita Rivera cameo in it, her work in ANOTHER musical was better). As such, I select West Side Story as the Best Picture of 1961...out of the nominated films. Still, as brilliant as West Side Story is, and it is brilliant (America notwithstanding), I still hold that "the sweet life" is as brilliant as any film. As such, this tale of decadence and lostness among the glitterati of Rome will not be denied by me. Therefore, I name La Dolce Vita as the Best Film of 1961. Next Time, The 1962 Academy Awards.